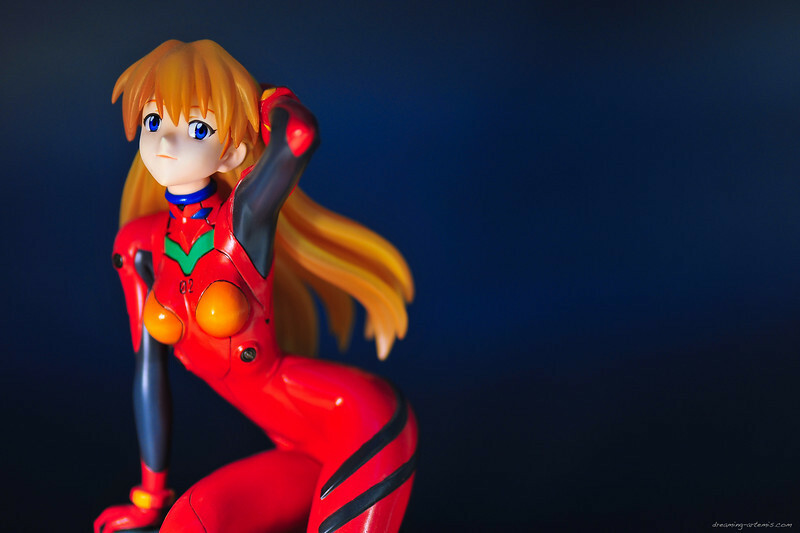 This will be the last figure review of 2010 and what better way to end the year with then with the final Asuka figure I have that has yet to be reviewed. 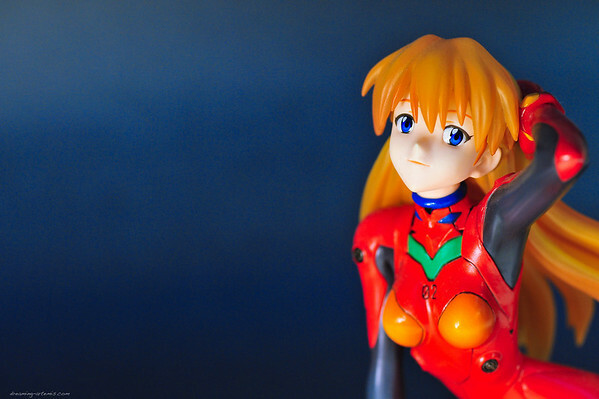 Truth be told I still have a lot of figures I want to do photo reviews for, but I just haven’t been able to motivate myself into getting around to them. 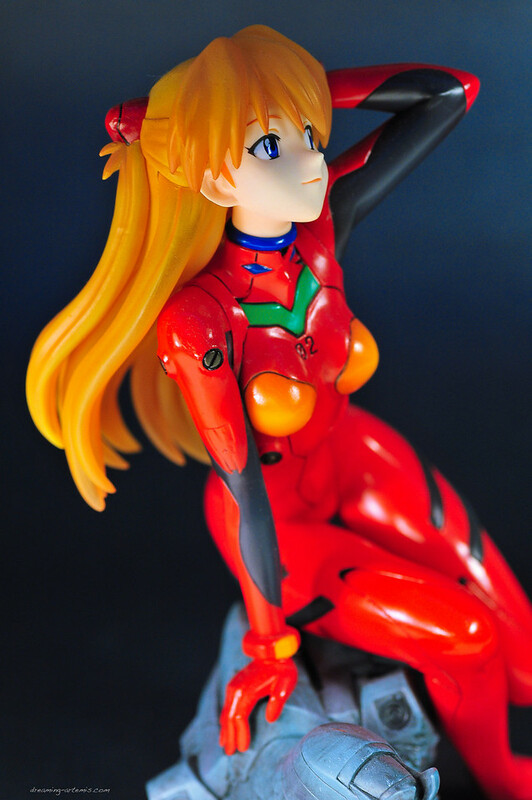 While the workmanship on this figure is very good but I’m seeing the same flaws I saw in the Rei and Mari version (in actual there are 4 figures in this Evangelion figure line up with Misato being the third one and also the hardest to find since demand for her was minuscule when compared to the other cast members). 1. I still see that they are using some sort of small tip black pen to draw the lines on the plugsuits and doing a poor job at it. I mean come on, other companies do it in such a way you wouldn’t even notice but it seems Kotobukiya are either too lazy or couldn’t be bother with it! 2. Second the flesh tone color of all 3 figure feels rather pale;too pale hence feel very cheap considering the fact that these figures are very pricey. Every time when I work with these figures, I’d had to compensate for this problem by adding in a purple filter just to make their skin look correct else it would look like some cheap lousy mannequin from some decrepit shopping mall in the middle of nowhere say like Labuan. 3. Finally why can’t they be consistant with the finish? Is it going to be glossy for all through or not? 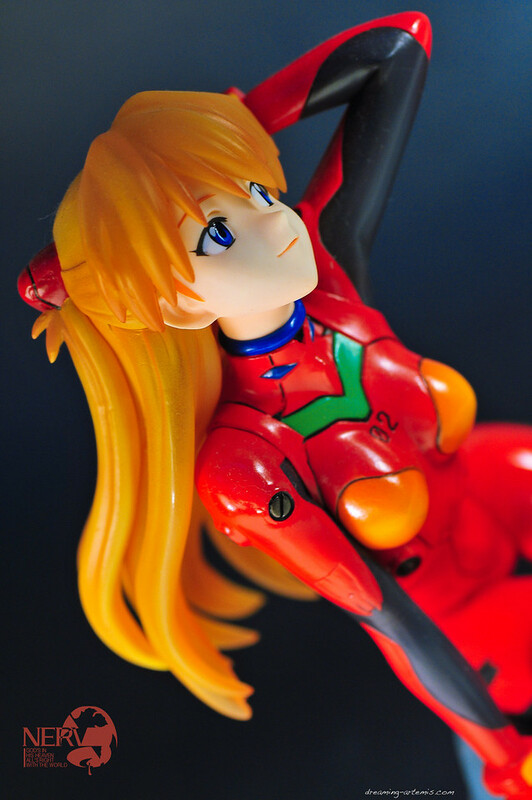 The Rei and Asuka version has a nice glossy finish while the Mari version doesn’t. 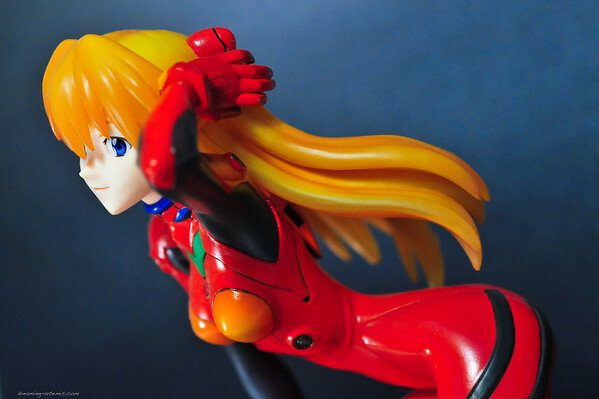 It dulls the Mari version when displaying all 3 figures together. 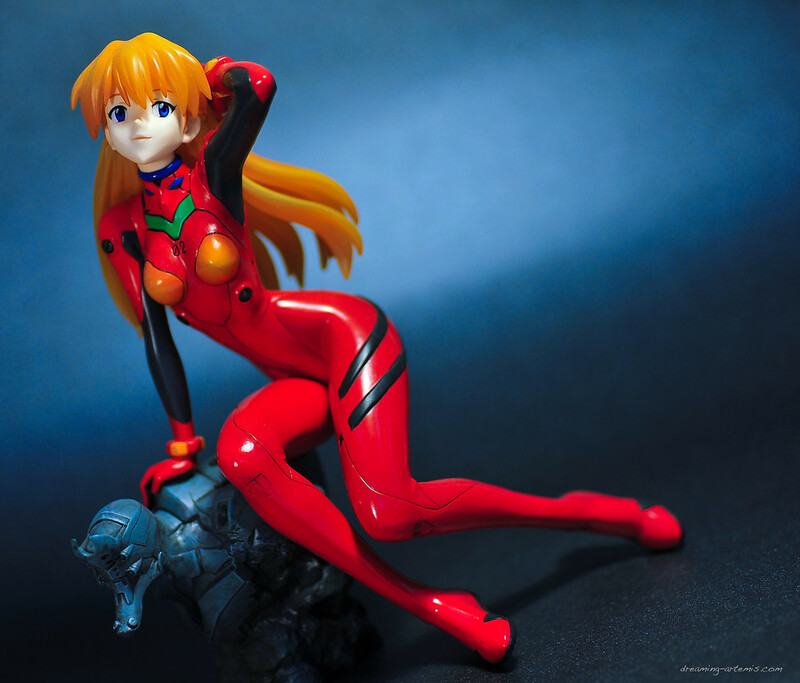 Strangely though I did not notice any of these problems with Kotobukiya previous figures and hope this is some gradual down slide of their quality. So in conclusion, while the figure designs are nice as well as the sculpting details, but the paint job really needs work. Anyway, here are the photos and I hope you enjoy them. Do drop a comment, I appreciate feedback on what works and what doesn’t. So far the sculpting work on the stand has been fantastic! The detailing it really good, even the paint job. I wish they made larger size bust. Her face does look really pale. On the upside, at least it makes her eyes stand out more. I like the dark blue colour background in 1140000648_iykrp-M.jpg. thanks but I hate having to do so much photoshop just to get the right color.